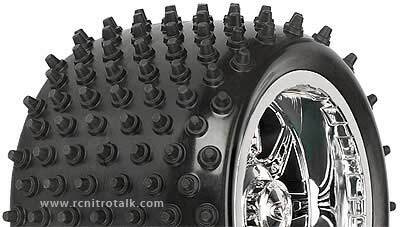 Pro-Line Racing has released their ever popular Mulcher tread pattern for 40 Series owners. The new 40 Series LP Mulcher is just what is states. Itâ€™s made for 40 Series wheels only, is low-profile in design, and is ready to mulch anything in its path. The gigantic lugs make the Mulcher versatile and performance driven. Grass, loamy dirt and even mud are no match for the Mulchers. They scream for the harshest of conditions and are a perfect tire to add to your collection. Talk about the new Mulcher 40series tires in our General Nitro Talk forum.